Lessons are taught once a week for 15 to 40 minutes duration depending on the age and stage of the student. Students under 5 years of age start with 15 minute lessons, and those doing exams at grade 5 level or higher will need 40 minute lessons. The term dates for lessons corresponds to the NZ state primary school year. There are no lessons on statutory holidays that occur during the teaching week. The playing level of each student determines what music books and supplies are required. I will purchase the lesson and theory books, and add their costs to the term's invoice. The Suzuki repertoire books are to be purchased by the parents, and can be bought from Alistairs Music 215 Cuba St, or from Piano Traders Auckland phone 0800 505003. Students learning by the Suzuki method need regular listening to the repertoire. This can be downloaded via iTunes or by purchasing a CD of the book level the student is working on. I have a library of music books which I can loan to students thus adding variety to their repertoire. Loaned books must be returned at the end of each year's tuition in good condition. The cost of lent books that are lost will be added the term's invoice so they can be replaced. Students must bring their practice assignment, repertoire and theory materials to each lesson. Students must have either a touch sensitive 88 key digital piano or an acoustic piano at home. This is to ensure that regular practice at home can take place, thereby leading to continuing progress and enjoyment. It is advisable that an acoustic piano is tuned at least every 12 months. The 2017 lesson fee is $35 for each 30 minute lesson and is invoiced via email each term.The invoices are emailed by the 2nd week of lessons and full payment is due by the 4th week of the term. The fee reserves an exclusive weekly time slot in my schedule for your child, and includes tuition, a piano assignment book, and any loaned music books. A credit will be given on the next terms invoice if a lesson is cancelled because of illness. For other reasons resulting in lesson cancellations, the fee cannot be lowered or refunded, but swaps can be made if this is to the agreement of all concerned. For students who are learning piano using the Suzuki method, parents are encouraged to attend and observe each of their children's lessons. Parents of students who are learning traditionally are also welcome to be present at lessons. Parents are asked to encourage their children and to be active participants during home piano practice sessions. 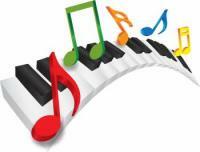 ​Regular practice at the piano is necessary to ensure ongoing musical progress and enjoyment. It is a good idea to have a regular daily time for piano practice and it should be done on at least 5 days each week. The amount of time required depends on the students age and skill level. The amount of time can be logged by the student in this website after logging in. The website you are on now is my studio website and can be accessed by the student and/or the parent/caregiver. I can give a username and password to the students exclusive part of the site. There you can access resources and notes from lessons, see attendance and other useful information. A parent/caregiver can also have a logon separate from the student. The website is new for me from 2016 and I will be using it to arrange my lessons and help produce invoices and show payments. The site can also produce automatic emails reminding students of lessons and any upcoming events. I will be able to store links to resources that I feel are useful to all or to a particular student if they wish. The website is run by a company called Music Teachers Helper (musicteachershelper.com) and is quite comprehensive.